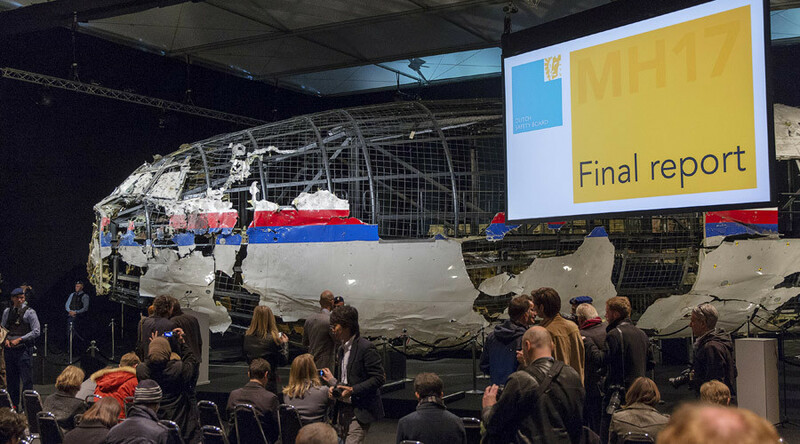 Some of the key conclusions of the Dutch Safety Board’s final report on the Malaysia Airlines flight MH17 crash were ‘unsubstantiated and inaccurate,’ Russia’s aviation agency said in a letter to its counterpart in the Netherlands, citing new research. Since the final report, released on October 13, 2015, did not reflect many important facts mentioned by the Russian side, the country’s experts continued their investigation into the reasons for the crash, Oleg Storchevoy, deputy head of Rosaviatsiya, wrote in a letter addressed to leadership of the Dutch Safety Board (DSB). The Dutch side confirmed on Thursday receiving Storchevoy’s letter and said they would study it and reply as soon as possible. Flight MH17 crashed in the war-torn Donetsk Region in eastern Ukraine on July 17, 2014, killing all 298 passengers and crew on board. According to the DSB’s findings, the Boeing 777 was shot down by a Russian-made Buk missile with a 9N314M warhead. However, the Dutch experts were unable to determine which side in the conflict – the Ukrainian government forces or the rebels – was responsible for firing the missile. Kiev should have closed the airspace in the area as soon hostilities broke out between government forces and the rebels in eastern Ukraine in April 2014, the letter says. The DSB report provides no explanation for Ukraine’s failure to close the airspace over the conflict zone, it adds. “Thus, the Ukrainian authorities deliberately concealed or distorted information on real threats to the safety of civil flights arising from the military activities… As a result, other states and airlines (including Malaysia Airlines) did not have sufficient official information for making a decision to suspend flights over Ukraine,” Storchevoy writes. According to the letter, the Dutch report provides no facts proving “the presence or the use of Buk surface-to-air missiles in the region,” only saying that the downing of an An-26 and Su-25 in the area shortly before the MH17 tragedy does not rule out such a possibility. “Even assuming the aircraft was brought down by a Buk surface-to-air missile, the description of fragments provided in the report does not match the strike elements used in the 9N314M warhead,” Storchevoy stresses. In the DSB’s final report, the shape of the fragments is examined separately from their mass. However, Russian tests revealed that the chemical composition of the shards does not match that of a 9N314M warhead. In addition, the final report did not mention several fragments of the alleged Buk missile found on the Malaysian plane’s crash site that had been shown by the Dutch experts to their Russian colleagues. One of them – the Section 3 encasing – “does not match the appearance of fragments of the same encasing normally resulting from the detonation of a 9M38-series (9M38M1) missile,” the letter stressed. During a full-scale experiment conducted by the Russian side, the missile “disintegrated into large shapeless fragments,” while the fragments from the MH17 crash site were “only slightly damaged… not deformed,” it added. The possible launch area of the missile, which allegedly hit the MH17 was also “calculated incorrectly,” he stressed. “Dimensions and boundary of damage, the number and density of penetration holes on the wreckage and especially the nature of damage to the frame of the Boeing 777 aircraft are not consistent with the warhead detonation point and missile orientation as presented in the final report,” the letter explained. The Dutch investigators said the missile came from somewhere within a 320 square kilometer area within eastern Ukraine, which would mean it couldn’t establish the side of the conflict which had controlled that launch site. However, a comprehensive experiment conducted by Russian arms producer Almaz-Antey demonstrated that the aircraft could only have been hit by a Buk missile if it had come from the village of Zaroshchenskoye, Storchevoy said. The letter concludes that the Dutch report is inaccurate and flawed in its reasoning. The evidence the Dutch side cites matches neither the 9N314M warhead, which they believe had caused the crash of MH17, nor any of the 9M38 series of BUK missiles, which the Dutch believe delivered the warhead. The scenario of how the missile approached its target does not match the fragment spray area of the wreckage, it added. It also stressed Ukraine’s responsibility to close its airspace to civilian aviation in the area of hostilities in the east of the country, which it failed to observe, and challenged the Dutch report’s assessment that two Ukrainian military aircraft downed before MH17 may have been destroyed by heavy anti-aircraft weapons.